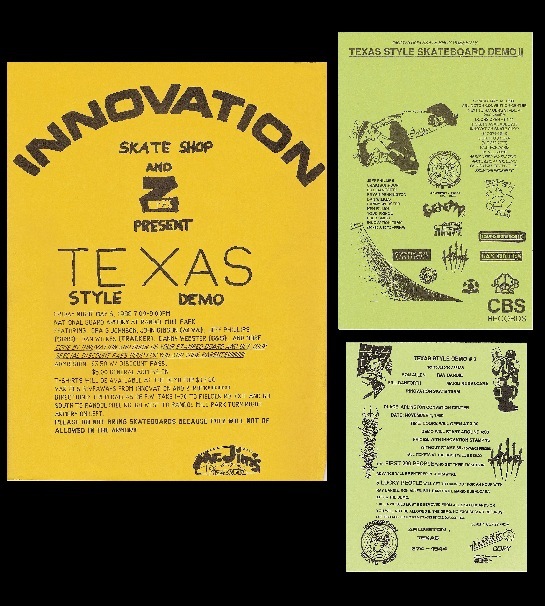 The name "Texas Style" comes from the bold, "go all-out and pull it back in" riding of Texas Skaters that definitely had a "style" to it. 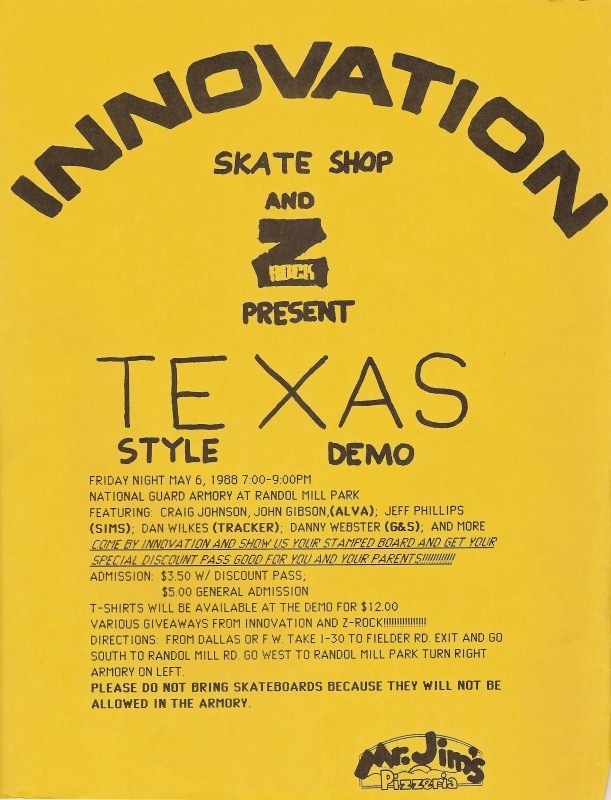 Friday, May 6, 1988 at 7pm The first of three "Texas Style" Demos began. 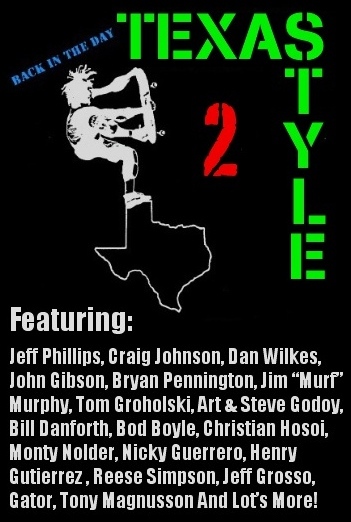 It featured: Craig Johnson, John Gibson, Jeff Phillips, Dan Wilkes, Danny Webster, and more(please see the D.I.Y. flyer off to the left). 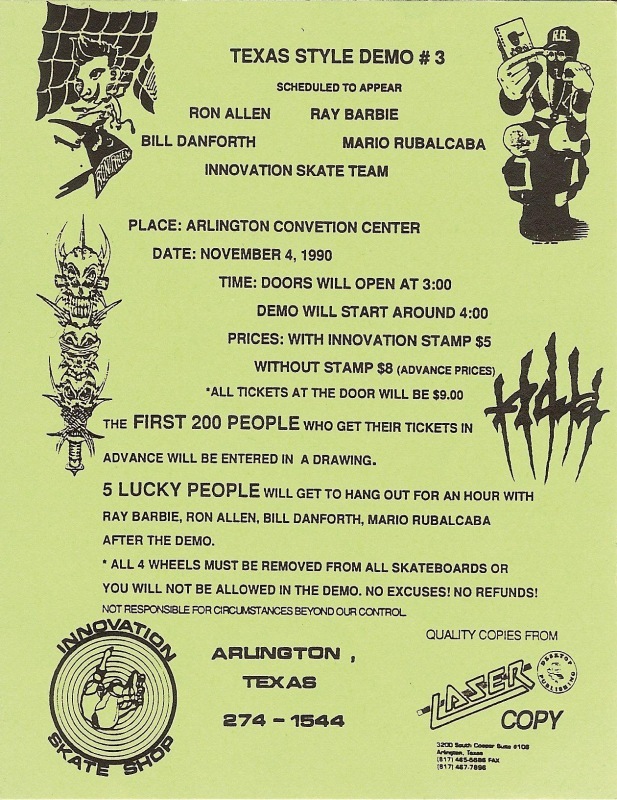 It became a roughly annual event for my skate shop, although the third was in November. About 12 years later I decided to make a DVD that shared the name of these Demos and featured video from the second of them. ...And As They Say The Rest Was History. 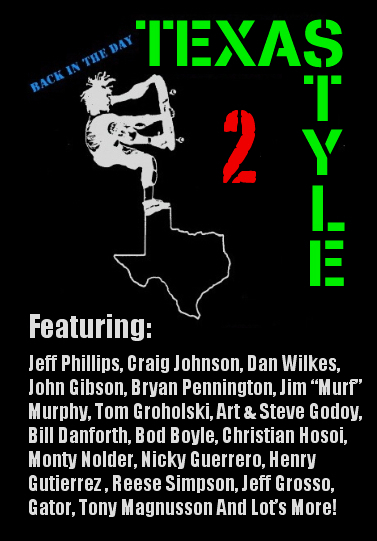 According to the Myspace write-up it's been 7 years now(as of 2009), and after many years of talking about it(especially over the last year or so) I'm finally continuing the Texas Style Series. 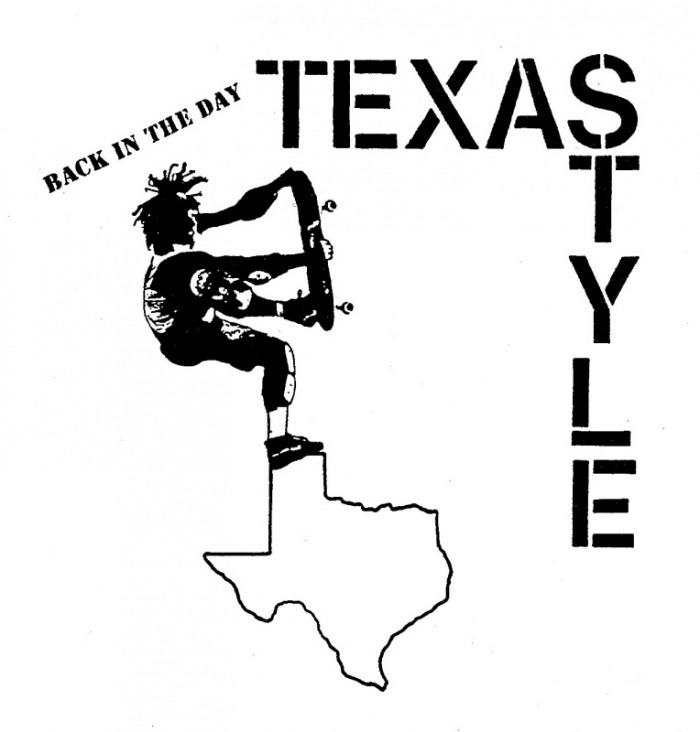 The sequel to "Back In The Day Texas Style" is complete and available in the store - sales help keep this online zine going too. 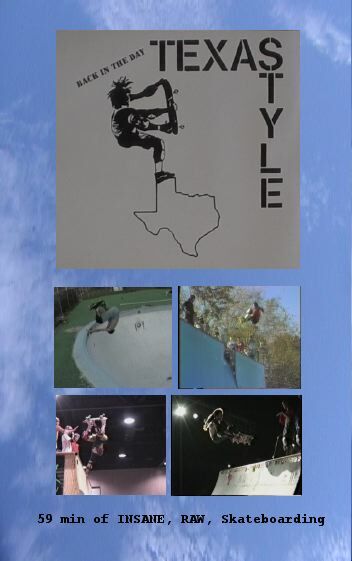 Not only that, Texas style pushes forward with new old photos and videos mixed with more current ones plus interviews, product reviews and such. (More to come as it happens). 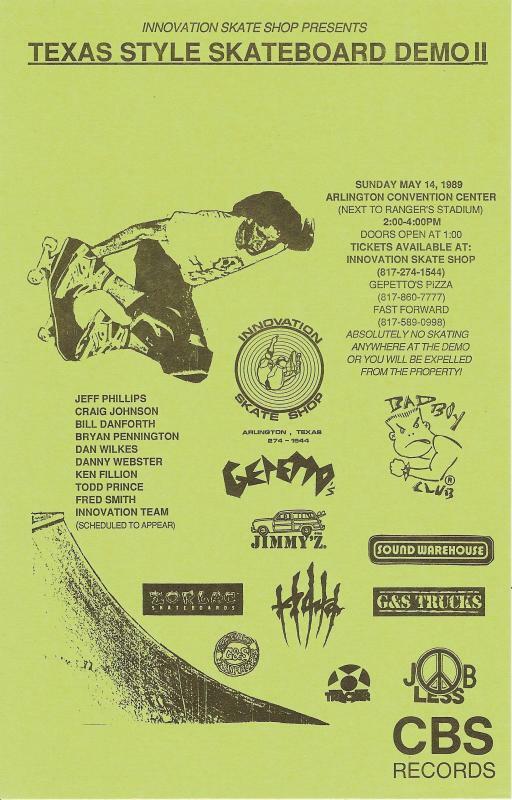 The webzine is growing in content and views daily and it's cool to be able to share all this great stuff that's accumulated as well as great skating happening now. We have the new webzine logo going on T-s and more. Once again sales support the site. Lot's of great stuff in the works so keep dropping in. Thanks to all our sponsors that help make this possible.